Posted By:Unknown | At:6:58 AM Be the first to comment! 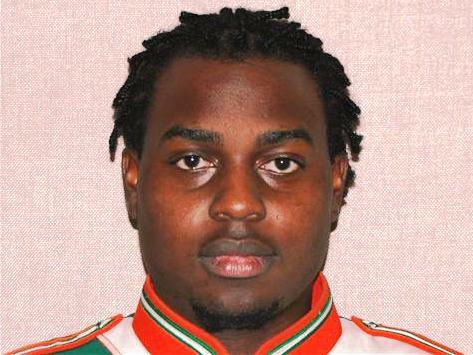 (AJC) --- A dozen students who played in Florida A&M University’s marching band along with Decatur native Robert Champion are now facing the possibility of up to 15 years in prison in his killing. On Monday, Jeff Ashton, the newly-elected state attorney for Orange and Osceola counties in Florida, upgraded the charges against 10 students from felony hazing to manslaughter and charged two other students with manslaughter. The stiffer charges and possibility of longer sentences are welcome news to Pam and Robert Gerald Champion, who have argued for more action after their son’s death. At least five students from metro Atlanta, including some who knew Champion in high school, are now fighting for their freedom. In Florida manslaughter is a second-degree felony, punishable by up to 15 years in prison. The original charges of felony hazing, filed last spring, are a third-degree felony and carried a five-year maximum sentence. Initially, 11 of Champion’s band mates including four from metro Atlanta were charged with third-degree felony hazing. One of the 11 pleaded no-contest and was sentenced in October to probation and community service. The Atlantans are Jonathan Boyce, 24, Shawn Turner, 26, Aaron Golson, 19, and Lasherry Codner, 20. Two other students faced misdemeanor charges. In addition to the 10 charged with manslaughter on Monday, Ashton also charged two more ex-band members, Henry Nesbitt, 26, and Darryl Cearnel, 25, in the fatal hazing. Nesbitt is from Austell. Calls to his family’s home were not answered. Cearnel, from Florida, was performing CPR on Champion when paramedics arrived at the scene, while Nesbitt called 911, according to the sheriff’s investigative summary. According to the Associated Press, while it is unclear what roles the two played in Champion’s death, neither cooperated with the Orange County sheriff’s probe. Calls to Ashton’s office were not returned afternoon, so it was not immediately clear why he upgraded the charges or included Nesbitt and Cearnel. The Champion family had expressed disappointment in former state attorney Lawson Lamar’s decision to only go for the felony hazing charge. Ashton beat Lamar in the last election. Ashton is no stranger to the spotlight. In June 2011, he was the lead prosecutor in the trial of Casey Anthony, the Florida woman accused of killing her 2-year-old daughter, Caylee. A jury found Anthony not guilty of first-degree murder, aggravated manslaughter and aggravated child abuse charges. Ashton left to run for office and in 2012 was elected state attorney, but not before a Lifetime movie aired, “Prosecuting Casey Anthony,” based on his book about the Anthony case. The charges represent the latest chapter in one of the darkest periods in the history of FAMU, as the death of a popular drum major lifted a veil of silence and secrecy that had covered the famed band for decades. The Marching 100 was regarded as one of the best bands in the world, having played at presidential inaugurations, the 200th anniversary of the French Revolution in Paris, and several Super Bowls, including the 2007 game in Miami, where it accompanied Prince. On Nov. 19, 2011, Champion was one of several students who participated in what police say was a hazing ritual. The band was in Orlando for the annual Florida Classic football game, which pits FAMU against arch-rival Bethune-Cookman University. According to several accounts and police records, Champion, who was just months away from becoming FAMU’s head drum major, underwent a hazing ritual aboard “Bus C,” anecdotally known as the toughest band bus to ride on. It was parked outside of the Rosen Plaza hotel in Orlando. Fellow band members claim that Champion volunteered to undergo the ritual to gain respect. His family said he never believed in hazing. Neither side could imagine what happened next. According to several band members, Champion was forced to walk from the front to the back of the bus while other students punched, kicked and struck him with various objects, including drumsticks. After making it to the back of the bus, Champion made his way outside, where he started vomiting, gasping for air and complaining that he couldn’t see. He finally collapsed and was later pronounced dead after being taken to a nearby hospital. The medical examiner ruled that Champion died of hemorrhagic shock caused by blunt-force trauma. As a result of the death and the national debate it created, FAMU officials suspended all band activities at least through the current academic year. Longtime band director Julian White, who had been trying to get his job back after a suspension, eventually retired in the aftermath, and university President James Ammons was also forced out. Even high school bands in Atlanta and particularly DeKalb County, which has served as a FAMU feeder, were forced to re-evaluate their policies. Chestnut, the lawyer representing Champion’s parents, has also filed a wrongful-death lawsuit against the historically black college.